An alliance of four Indigenous Peoples Organizations and one Dalit organization has been formed to contribute to ensuring active participation of historically marginalized communities in the making of the new constitution of Nepal. 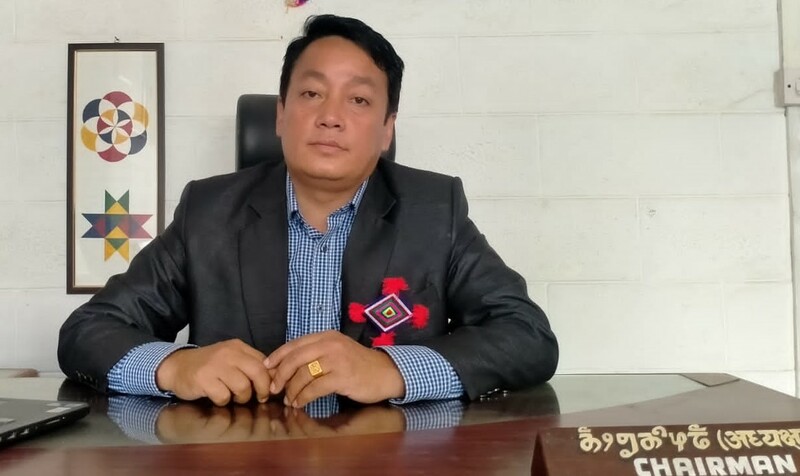 The members of the alliance are: Kirat Yakthung Chumlung, Athpahria Kirat Rai Samaj, Walung Uththan Samaj, Tokpegola Social Welfare Committee, and Downtrodden Awareness Society. Supported by the Support for Participatory Constitution Building in Nepal (SPCBN) program of UNDP the alliance conducts Democracy and Inclusion Project (DIP) in nine districts of Koshi and Mechi zone. The project districts are Taplejung, Panchthar, Ilam, Jhapa, Morang, Sunsari, Dhankutta, Terhthum and Sankhuwasabha. 1. Impart and increase knowledge of target communities on constituent assembly, its thematic committees, and the process of constitution making. 2. Identify the burning issues of marginalized communities. 3. Prepare and submit recommendations to incorporate in the new constitution. 1. Community Campaigners hold community meetings to discuss issues of marginalized people and make recommendations and suggestions to CA and CA members. 2. Community radio program airs news and views on historically marginalized people and their concerns and aspirations. 3. Interaction programs are held to exchange and share information, thoughts and opinions and to create pressure upon political leaders and CA members. 4. District Program Support Committee (DPSC) conducts meetings in districts on regular basis to provide support to project activities. So far, more than 6 hundred community interaction meetings have taken place at Ward level in Village Development Committees. More than 12 thousand marginalized people have got involved in community meetings. Significant number of women, 39 percent of the total participants, participated in the activities. The participants have shared their concerns and aspirations and submitted their recommendations to the constituent assembly and its thematic committees. Apart from the project target communities Tamang, Rai, Sherpa, Bhujel, Magar, Gurung community people and also Bahun/Chhetries participated in the activities. Democracy dialogue at district level is ongoing. The dialogue participants include representatives of political parties, civil society members, journalists, human rights activists and opinion makers. Sixteen episodes of radio program have been produced so far and aired in all of the nine project districts. The community radio program is an ongoing activity of the project.